Book Review: Captain Frederick Wentworth’s Persuasion by Regina Jeffers. Persuasion, Jane Eyre, and Rebecca have been my favourite novels since I first read them as a teenager. I have reread them dozens of times since then, and although there are many others I reread regularly, too many to mention now, none are as dear to my heart and my mind as the former three. I love rereading, because every time I reread a book is a new experience. I always discover something new between the lines, or feel differently about characters or events. However, the last time I reread Persuasion, a few months ago, I was disappointed. I found the first half of the book had far too much ‘telling’ instead of ‘showing’. I also found parts of the dialogue ‘stiff’ with long drawn out ‘speeches’ instead of a more natural interaction between the characters. Finally, what displeased me most was the lack of introspection of the characters, especially the men, and specifically Wentworth. We all imagine what he’s thinking, but we are never able to glimpse inside his mind, except for a few brief but powerful minutes when we read Frederick’s letter, in which he literally pours out his heart and his mind to Anne. From those brief words, I recreated his inner turmoil, integrity, loyalty, and passion, but alas, Jane Austen gave us very little information. When I came across Captain Wentworth’s Persuasion by Regina Jeffers, just a few days ago, on twitter, I couldn’t resist reading. I was curious when I read the title and then the blurb: The love affair behind Jane Austen’s classic, Persuasion, rests at the heart of this retelling from Captain Frederick Wentworth’s point of view. Could the author have captured the essence of my hero and retold the story from his point of view successfully? 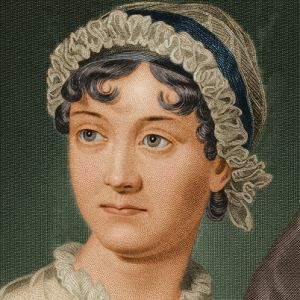 Could she have clarified what Jane Austen did not fully describe? The answer is, yes, she did. I loved every minute I spent reading this novel, and I felt very upset when I finished, although it has become one of my personal classics, so I’m sure I’ll be rereading it, too. Ms. Jeffers explains many things which Ms Austen didn’t. She uncovers the fears, prejudice, and immaturity which led to Anne and Frederick’s first separation. Anne was only 19, the same age Jane Eyre was when she married Rochester, practically a teenager by contemporary standards. Her father and godmother advised her against the marriage, so she might have been afraid to leave everything and everyone she knew behind, and travel in a war ship with her husband. Captain Wentworth’s Persuasion starts at sea. Anne and Frederick are married and both living on a frigate during the Napoleonic Wars. When Wentworth is gravely wounded, during his delirious recovery, he recalls his first meeting with Anne, their brief courtship, and her family’s disapproval. He then remembers what happened nine years after Anne turned down his proposal. Wentworth returned to Bath as a wealthy war hero, while Anne’s family’s fortune had diminished, although her father retained his baronetcy and his pompous airs. At first Frederick feigned indifference towards Anne, and pretended to flirt with Louisa Musgrove. We understand his misery, as he gradually realises it is Anne Elliot whom he still loves. There is plenty of conversation and telling instead of showing, as the tension builds and their relationship slowly unfolds. The rest of the diverse characters also come to life. Members of Wentworth’s crew, Wentworth’s brother and sister and their loving family, are portrayed in stark contrast to Anne’s arrogant and conceited sisters and their families. But the best is yet to come. Once Ms. Jeffers has arrived at the final point of Ms Austen’s novel, she moves the story on, and towards the end of the novel, a surprisingly complex political plot unfolds including the intervention of the Prince Regent. I was devastated when the novel ended. I needed more! Fortunately, Ms Jeffers has informed me that in her next novel, The Prosecution of Mr. Darcy’s Cousin, we will encounter Rear Admiral Wentworth once again. Personally, I can’t wait. If you loved Persuasion, read it, you will love it. If you haven’t read Persuasion, read it, too, you will discover Anne and Frederick’s love story from a contemporary perspective, and then, if you like, read Persuasion! In any case, if you enjoy reading well-written historical romance, with a good plot, and wonderful characters, you’ll enjoy Captain Wentworth’s Persuasion. You’ve made a very compelling case Luccia. 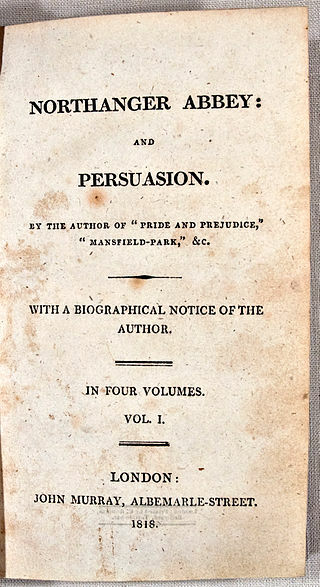 I think first I must re-read Persuasion. This is a great review, Luccia,from a cognoscente’s point of view, which makes it all the stronger. As with Olga, I would have to go back and read Persuasion first. So many good things to read and so little time! Will do. Send me a reminder! My head can only hold so much information!